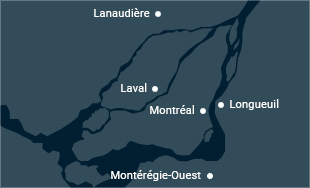 This is an internship course during which students will be teaching in either a primary or a secondary ESL classroom outside Quebec. Students will need to spend at least 60 hours in the classroom (including the observation period). The internship could last from four to six weeks depending on how the 60 hours can be accommodated. Students will initially share teaching responsabilities with their cooperating teacher and then will gradually come to bear complete resposibility. A report presented to the university supervisor or on-site meetings with the supervisor will allow students to analyze and reflect on their teaching expériences, on the effectiveness of different techniques and activities, and on observations made in different teaching contexts. The results of the reflective activities will be added to the students' portfolios. Avoir une moyenne cumulative de 3,2 ou plus, répondre aux conditions générales d'accès aux stages et avoir réussi tous les cours précédents du cheminement.